The complete mind, body, and spiritual transformation based on a highly successful course—now in paperback! This book offers a proven step-by-step approach for finding and achieving your goals and desires through a complete mind, body, and spiritual transformation. 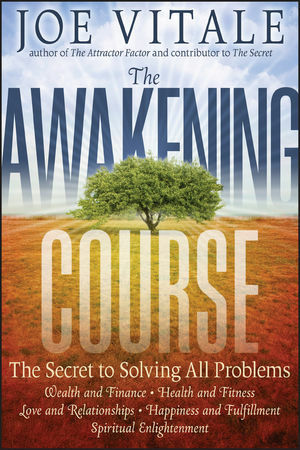 Let The Awakening Course take you to a place of transcendence. JOE VITALE is the author of The Attractor Factor, Zero Limits, The Key, and Attract Money Now. He's a star in the movies The Secret, The Opus, The Compass, Leap!, Beyond Belief, and The Meta-Secret. He's the creator of Miracles Coaching. His main website is www.JoeVitale.com.